Yesterday was really a tough day for me. Watching the burning of a building that has existed for over eight and a half century’s, that has such a significance to Catholicism really hurt. As someone that wasn’t old enough to remember 9/11, watching the central spire fall really gave me a brief glimpse of how bad that day was. Is this equivalent to the thousands of lives lost that day? No, but the heart break I had can only have me imagining the feeling. There are things we can get out of this though, and not everything was gloom and doom yesterday. First, there are still things that can unite people. Republicans and Democrats, Catholic or not, put aside their differences to offer support to French and Catholics around the world. Not just in America either, Vladimir Putin even made statements of helping the French restore Notre Dame. That is beautiful to me, and gives me some hope in humanity. By far, the most beautiful site of the day though was when Perisians gathered in the streets and started singing “Ave Maria” a prayer to the Virgin Mary. It was incredibly moving, and revitalized my faith for The Church in France. A graphic was just released today, detailing the entirety of the damage. 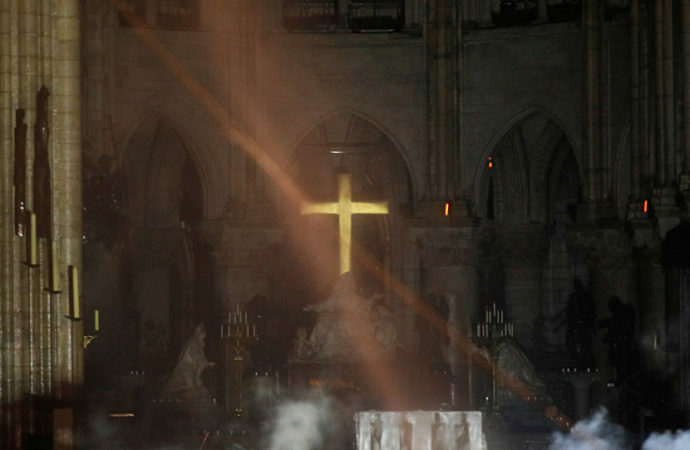 Several French businessmen have also started promising to donate millions of Euros to revitalize Notre Dame to its former glory. 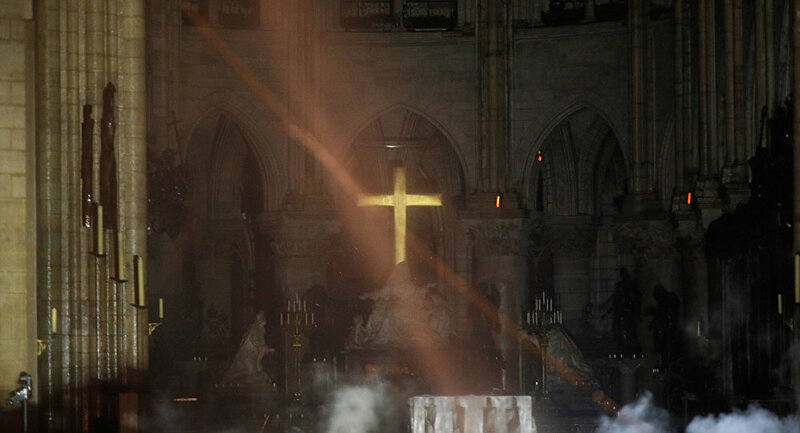 This more than anything gives me hope, that Notre Dame will be rebuilt, and that because of this struggle we have come closer as a civilization. If you would like to donate to the restoration of this amazing piece of art, and dedication to Western Civilization, you can donate to the “French Heritage Society” fundraising efforts, specifically for Notre Dame, here.